Rat-race, the hustle, the multi-tasking; as a society, we embrace the constant multi-tasking mentality and foster environments that require an abundance of energy and no time for rest. We strive for the next thing, when we have not even finished the task laying in front of us. We run, we reach, and we seek constant activity everywhere… always. This mindset is detrimental to not only ourselves, but also to the important relationships we have with others. When we refuse to appreciate the people and the activities around us in the present moment, we create an experience that is not fully understood or reflected upon. It becomes a situation undervalued and overly forced. However, when we begin to change up our lives, begin to perceive them in the here-and-now, and learn how to foster a “present” state-of-mind, we allow ourselves to grow as individuals and as a community. Below are a few ways to embrace such a change in our perspective. The greatest thing you can do for your brain and your body is to remove the clutter from your schedule. However, this can also be the most difficult task to begin. We find ourselves saying, “I am committed to everything on my agenda”, “I have already told people ‘Yes’ I will be there”, or “I cannot remove anything from the list right now”. In order to foster your fresh mindset, take a step back, and truly begin to reflect on the activities on your list. Do they match your priorities? Are they items targeted at simply putting out the urgent fires and appeasing the people who do not appreciate you? Are they tasks you have been doing for so long, you no longer know what your life would be like without them? Write down all of your tasks and time commitments, why you do them, and whether or not they match up to what you find to be most important in your life. 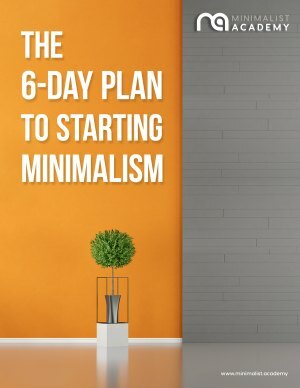 If you find certain scheduled commitments, or even specific people for that matter, are consuming too much time for the energy sacrificed, begin to consider how you can restructure and declutter your schedule. This also goes for your “to-do” list. If there are items on your list that are purely there to keep the work fires at bay, or they keep your mind distracted from the parts of your life that actually need your attention, rip off the Band-Aid and remove them from your list. Once you have a “to-do” list that is in line with your priorities, physically write down the items. This will help you show up and be present rather than mentally running through your list repeatedly. Once your schedule is decluttered and your plate is only filled with tasks and agendas that are meaningful to you, the next obstacle you will face in being present is the temptation to refill your time down to the last second. As tempting as it may be, avoid completely filling your time so you may maintain space for impromptu exchanges that may lead to meaningful conversations and experiences. It is important to schedule in the events that have structured time commitments, but it is also equally as important to leave space. Find a balance and then embrace each moment as if it was the only thing going on for the given day. Finally, begin exploring your experiences, your relationships, and your work with more of your senses. Be thoughtful about how you are feeling in a present moment and which of your five senses are impacting you the most in the moment. Learn to appreciate an experience- the colors, the scents, the feelings, the sounds, the tastes, and the textures attached to the memory. It is these particular pieces of your journey you will carry with you and will remind you of the moments experienced. Once you have left the moment, take a couple of minutes to reflect. Ask yourself why you appreciated the experience, how it made you feel, and what insight, if any, you gained from embracing the moment more fully than you would have in the past. Being present in the here-and-now is not about trying to be hyper-focused or capturing the moment in a photo using your latest smartphone. It is about creating meaningful situations where real experiences happen. It is about embracing the expected and the unexpected, and cherishing the moments as they are with everything you are. Listen. Taste. Touch. Feel. Embrace the moment. 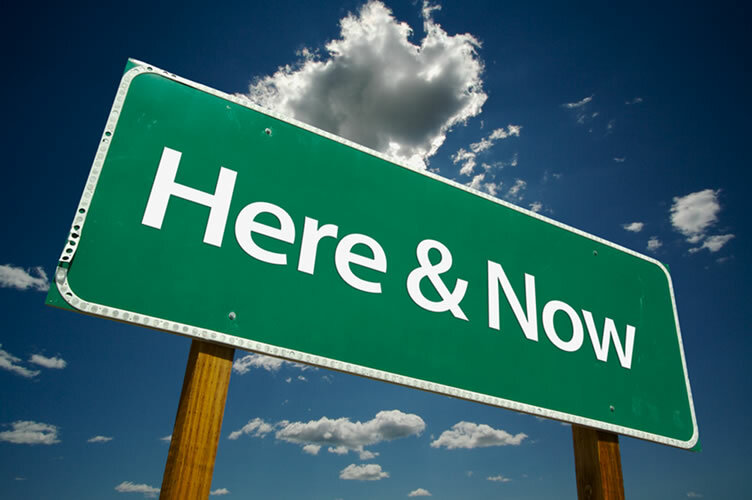 This is how you will begin to show up for the here-and-now.